We have a variety of fine organic teas to choose from! We are avid tea drinkers and it shows in the quantity and quality of our tea selection, tea accessories, tea pots, and tea cups. Come in and try a cup, we always have freshly brewed tea in the store. Harvested late in the growing season, our organic Bancha has a light, refreshing flavor and mildly vegetal finish. This tea is one of the most popular in Japan. A blend of organic green tea and aromatic spices. Traditionally, this tea is prepared with milk and sweetened generously. Calming tea made with the finest organic chamomile from the Mediterranean. Chun Mee-cha (eyebrow tea) gets its name from the curve of the processed leaf. It was thought, when viewing the beautifully shaped leaf, that it resembled that of a woman's finely formed eyebrow. The pan-fried leaves produce a highly fragrant clear, yellow-greenish brew with a distinctive sweet flavor. This full flavored FOP tea from China brews to a rich brown cup. Description: Medium bodied cup and bright golden brown liquor, the rich floral character in flavor and taste on the palate are another must have. This brew, with its plum-like flavor and lingering fragrance, is delightful. An organic green tea base scented with oil of Bergamot, a citrus plant from Sicily. A blend of Chinese Black OP and Keemun tea. This tea has a full bodied cup and robust flavor. An organic tea made from young to medium leaves, rolled in balls. Because of its tightly rolled leaf, it has the greatest shelf life of any tea manufactured. The cup is of medium body with a crisp clear flavor. Organic hibiscus, rosehips and citrus. This tea is high in Vitamin C. Our best selling herbal tea- great hot or cold. Created to matched the style favored by the tea loving Irish, our blend features the malty robustness of Assam black tea from India blended with Chinese tea for added complexity. Due to its superb bouquet, this north China black tea is often referred to as the “burgundy of teas”. This full—bodied, sweet liquoring tea, produces a dark red cup. Keemun is considered one of the best China black teas. It makes an excellent “English Breakfast” and is useful for ice tea, in that it does not cloud easily. Highlights of fresh, juicy mango marry with the smooth flavor of Ceylon black tea and elegant marigold petals. The refreshing, tropical flavor is also perfect for organic iced tea. Finely milled green tea. The flavour of matcha is dominated by its amino acids. The health benefits of matcha tea exceed those of green tea because when you drink matcha you ingest the whole leaf, not just the brewed water. One glass of matcha is the equivalent of 10 glasses of green tea in terms of its nutritional value and antioxidant content. For maximum nutritional benefit, matcha tea is unparalleled. Organic rooibos tea, organic cinnamon, organic ginger, organic cardamom, organic cloves and organic stevia. Description:A non-caffeinated chai tea made with Rooibos, spices and hint of stevia to sweeten it up. Sencha is the most popular tea in Japan. It is made form the first tender leaves of the tea plant. The leaves are harvested in early summer, steamed, twisted and dried. Bits of real strawberries and oranges with green tea. Lovely hot or iced. This green tea type is made from young to medium leaves in a long twisted style. The cup has a fresh green full—bodied liquor. Preparing tea properly is easy but you must follow a few basic guidelines. The best tea in the world can taste horrible if prepared incorrectly, and conversely a very inexpensive tea can be very satisfying if made well. Use the best tea that is available to you. Good tea is a bargain. A tea that costs $100.00 per pound, only costs 50 cents per cup when steeped. When making any tea, be sure you begin with good water, it makes up over 90 % of the end product. Water quality and taste vary greatly between locales. If your water tastes really good out of the tap chances are it will make good tea. If there is any noticeable unpleasant taste in the tap water, e.g. Metallic, chlorine, earthiness etc. that taste will come through in the tea. A simple inexpensive solution is a store bought water filter, such as Brita. Spring water can also work very well. Never use distilled water. Always start with fresh water out of the tap, not water that has been previously boiled or has been sitting around. First, use a small amount of heated water to warm the pot before beginning to make your tea. Then measure the correct amount of tea into the pot. A good standard guideline is 1 teaspoon per 8 oz. cup (try our "perfect teaspoon" in the store!). This refers to a measuring teaspoon, not the teaspoon in your silverware set which is usually much larger than a true measuring teaspoon. This is just a general guideline. Different teas require different steeping temperatures. Using the wrong steeping temperature is probably the most common error people make when preparing tea. You can buy a thermometer to gauge temperature or you can look for visual clues. Black tea generally should be made with water at a full, rolling boil, 212 degrees. Oolong tea (also known as wulong tea) should be made with water a little bit below boiling, between 190 and 203 degrees. The water should be steaming rapidly and there should many bubbles rising in the kettle, but not really breaking the surface. White teas should be made with even cooler water, anywhere from 150 to 160 degrees, when you see the very first hint of steam. Herbal teas should typically be made with boiling water. Different teas also require different steeping times. Black teas steep 4-6 minutes. 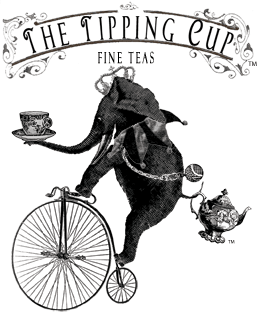 Darjeelings are the exception, they should be steeped 2-3 minutes. Whites teas typically should be steeped around 2 minutes, although some can be steeped much longer with good results. Herbals typically should be steeped a minimum of 4-6 minutes, some for up to 10 minutes. All teas require room for the leaf to expand greatly in size as it steeps. Whatever preparation method you use make sure there is enough room for the leaf to expand up to 3-5 times in size. Brewing the leaves loose in the pot and then straining works well. As do the Swiss Gold tea infusers. This is why tea balls make poor tea, there is no room in the tea ball for the leaf to expand so the flavor never gets released into the liquid. Finally you need to separate the leaves from the liquid when the tea has steeped the proper length of time. Most teas will turn bitter if steeped too long. Using a tea infuser makes this step easy. Simply straining the brewed tea away from the leaves works well also. Making great tea is very easy, but it does require a little bit of attention to detail.